As the saying goes……”if I had a nickel……”! 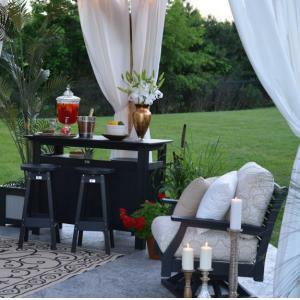 Yes we offer custom designed furniture. This business was literally built on the shoulders of special orders for customers that wanted something specific! 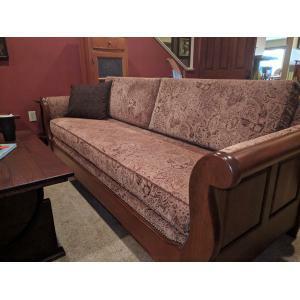 Since opening for business in 1993, we have offered custom design services and had pieces built by Amish Craftsmen that were uniquely suited to make special pieces that suited their specific wood working discipline. 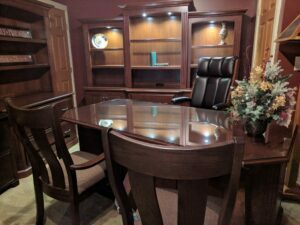 As an example, a builder that specializes in office furniture is typically open to making office pieces to fit a particular customer’s styles, sizes and finishes. 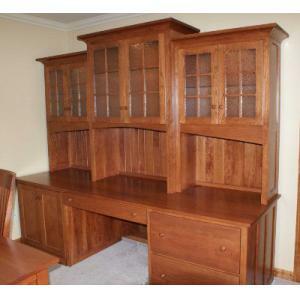 This was a desk and wall unit for a homeowner that wanted a shaker style, cherry office with a credenza that fit perfectly between their walls. 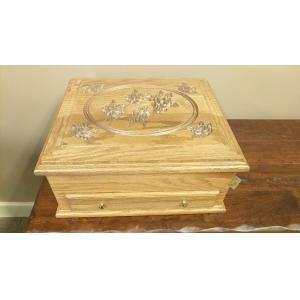 This same piece could have been built in any of our woods with any of our finishes. 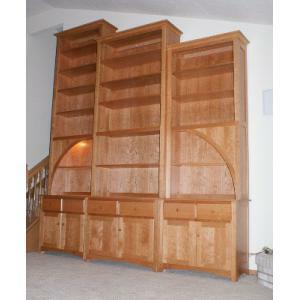 This cherry bookcase wall unit was a custom design for a Springboro couple. 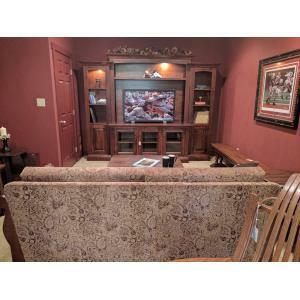 Over the years, we have “plugged in” to so many standard pieces that can easily fit the needs of our customers that truly custom pieces are not requested as often. 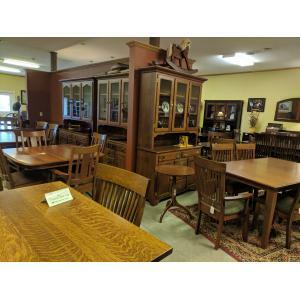 For example, if a customer would like a dining table that is a unique size, we can generally specify that it be made that size. Or, if there is a need for a standard cabinet design that is a little wider, deeper or taller, that can be done relatively easily! We don’t consider that to be a “start from scratch” custom piece. 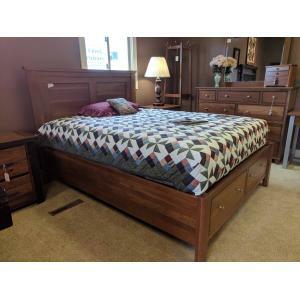 There are different “levels” of custom furniture at Clear Creek Furniture. The reality is that, one way or another, we can help! The best way to begin the process is to simply ask. We are available by phone, e-mail or in person. 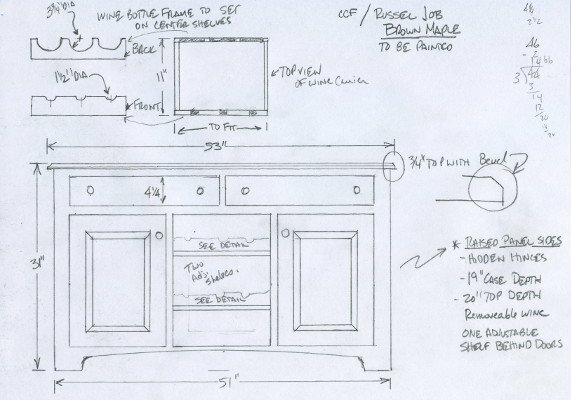 If your need is to work with us on a custom design, the owner Tim Nichols, is your man! Tim has over 25 years of design experience and considers custom designing to be the most enjoyable part of this business. You can catch him by any of our communication methods and/or make an appointment for a “get down to business” meeting. 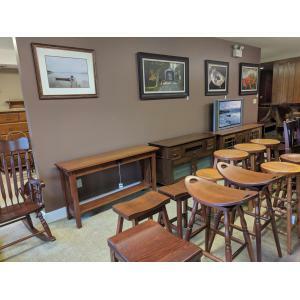 If you are looking for a hardwood custom piece made by the Amish, for your home or business, that you can be proud of, this is your place!